What is the most common pest in the warmer season? Mosquitoes are expected to be more prominent this season, particularly because our region did not get a consistently cold enough season to kill off the larvae. Thus, many reports predict that our area may see an increase in mosquitoes. While they seem to annoy some folks more than others, and are more attracted to some people, there are many different methods at minimizing their existence around your home. There are countless methods of getting rid of them, but not all of them are safe or environmentally friendly. DEET, a popular chemical in insect repellent can cause all sorts of health problems such as headaches, neurotoxicity, muscle weakness, and many other symptoms. This harmful chemical might get rid of the mosquitoes, but natural deterrents can often work just as well, and sometimes better. They’re also not going to ruin your yard or the health of you and your family. So, let’s check out some of your options for natural deterrents you can incorporate into your next landscaping project. Certain plants that are placed into your yard or garden will help ward off some of these pesky little biters before they become a problem. 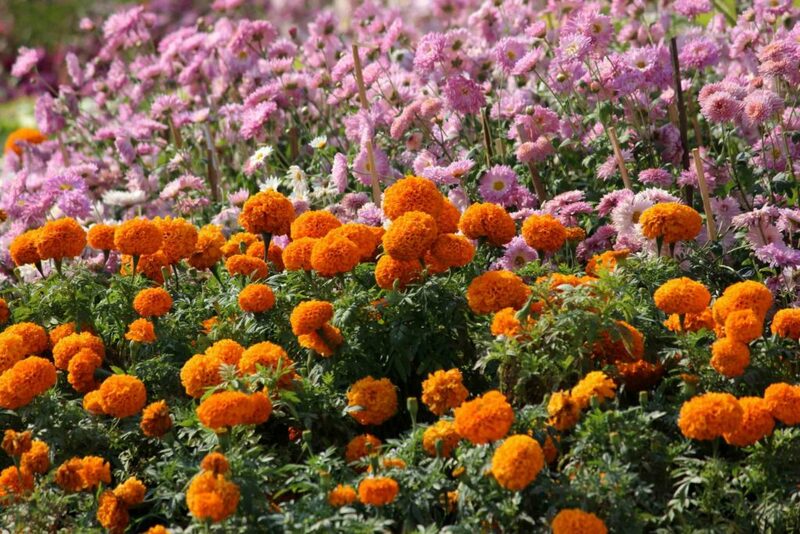 Marigolds, Chrysanthemums, Asters, and Pyrethrum Daisies are all thought to deter mosquitoes from nesting in your yard. Some herbs that might also help are Basil, Anise, and Coriander. If you incorporate some of these plants into your garden or landscaping project then you may find yourself with fewer mosquitoes, particularly when summertime begins. Make sure to dump out your watering cans and other water carriers once you’ve finished with your gardening. Mosquitoes breed in standing water, so minimize their breeding grounds as you go, and as little as a teaspoon is enough for larvae to thrive. Mosquitoes love the humid, dense, summer air. If you are outside tending to your gardening or enjoying an evening with friends and family, consider using an oscillating fan. The added breeze will add airflow around your area whereby mosquitoes will not be able to fly. While you’re outside working in your garden, make sure to wear light-fitting long sleeved clothing to minimize your exposed surface area. You can also utilize one of the many natural oils available to keep mosquitoes off of you as well. Some oils that can help a lot are catnip oil, cinnamon oil, and vanilla oil mixed with a little olive oil can each do the job of repelling mosquitoes rather well. They’re also completely natural and safe for you and the environment. Ready to rid yourself of mosquitoes? If you have any questions about how to get gardening without interference from mosquitoes then give us a shout. Or, if you think you’re ready to start getting your yard back to all of its verdant glory then you can contact Rhine Landscaping by giving us a call at 410-442-2445. 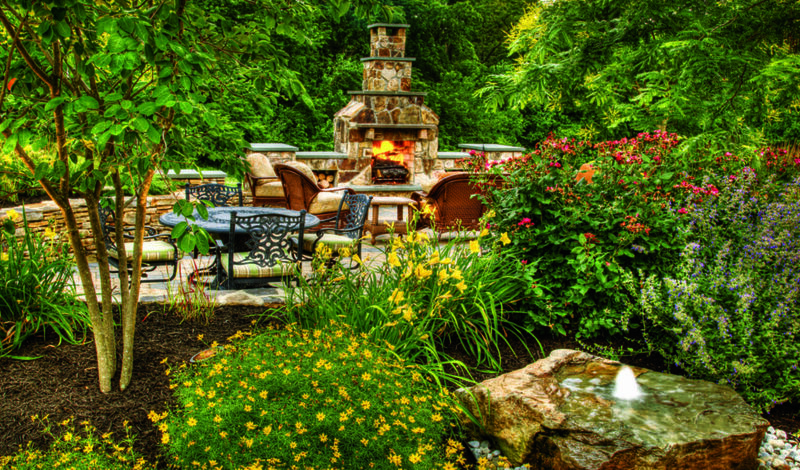 You can also contact us on our website:http://rhinelandscaping.com. We can help you plan, plant, and create the yard of your dreams. 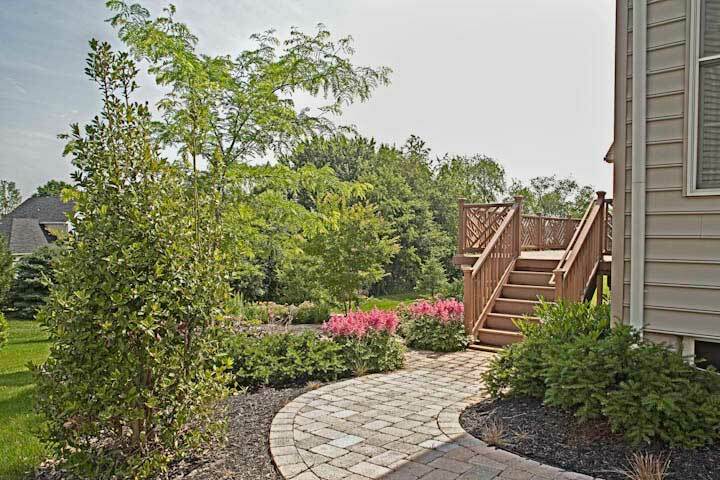 This entry was posted on Friday, April 12th, 2019	at 1:29 pm	and is filed under Blog, Gardening, Landscaper Maryland, Spring Landscaping Top Tips, Trends in Landscaping	. You can follow any responses to this entry through the RSS 2.0	feed. Both comments and pings are currently closed.